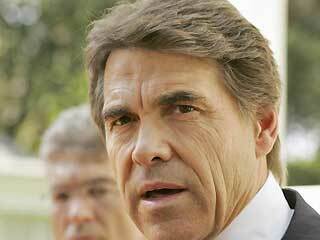 Five reasons you might like to see Rick Perry get into the GOP primary race? Easy. How about 1. Mitt Romney; 2. Tim Pawlenty; 3. Michele Bachmann; 4. Herman Cain; 5. Ron Paul? Here’s five more: Boeing, eBay, DynaPump, SunPower, Fluor. 1. Jobs: Texas’s economic record really is about 80 percent of Perry’s appeal — Texas is just killing it on the jobs front compared with the rest of the country. In May, the whole country saw a net gain of 232,000 jobs, some 62,000 of them at McDonald’s, the country’s most notable job creator that month. At the same time, eBay was expanding in Austin, bringing a $122 million payroll to town and average salaries of $122,500. There’s nothing wrong with working at McDonald’s (or Burger King), but the businesses that have moved to or expanded in Texas during the last decade are hardly suggestive of the unfairly maligned McJob: Boeing, DynaPump, SunPower, Fluor. Newspapers may be falling apart, but Los Angeles–based Investors’ Business Daily is setting up operations in the Dallas suburbs. Critics point out that Texas and New York have about the same unemployment rate, which is true, but consider this: Texas’s population has grown by 21 percent in the last decade, while New York has lost hundreds of thousands of residents — about 850,000. In that context, Texas’s performance is even more remarkable than it initially looks. 2. Perry really is serious about this Tenth Amendment stuff: He is a social conservative, no doubt, but he’s a federalist first. He’s not crazy about gay marriage or medical marijuana, but his view is that if California wants to go that route, that’s California’s business. Don’t like it? “Don’t move to California,” he says. Kicking hard decisions down to the states isn’t the answer to everything — look at Michigan or Illinois — but more federalism and more competition between the states would be on balance a very fine thing for the country. 3. He’s a conservative before he’s a Republican, and he was a conservative before he was a Republican. Perry, who first held office as a conservative Democrat, chaired Al Gore’s Texas presidential team in 1988, back when Gore was running against federal funding for abortion and criticizing Jesse Jackson for being soft on Arafat (remember that Al Gore?). Perry crossed the aisle to the GOP the next year. He can be blistering on the subject of ideologically wayward Republicans, up to and including his predecessor in the governorship. 4. The great majority of American politicians see the Middle East through the prism of the Arab–Israeli conflict. Perry saw it from the cockpit of a C-130 and left the Air Force with the rank of captain. And, almost as important, he doesn’t make a big deal out of his military service. He’s been pretty tight-lipped on his foreign-policy views, but there is good reason to hope that his commitment to limited government and balanced budgets might put a damper on the Republican party’s more adventuresome foreign-policy tendencies. 5. He has never lost an election. via Five Points in Perry’s Favor – Kevin D. Williamson – National Review Online.